I know, I know. I promised no more MacArthur, but in this case, “Big Mac” actually did me a favor. He helped me (though I’m sure it was unintentional) figure out why “the Church” thinks the New Covenant is all about them and why the New Covenant is supposed to replace the Old. I’ve read the relevant scriptures many times, but could never figure out how Christians fit themselves (ourselves) into the New Covenant language. But let’s review a bit. I looked back on a series I wrote called “The Jesus Covenant” (no, there’s no such thing, but at one point, I had no clue how non-Jewish people could enter into any sort of relationship with God at all related to covenant, and I had to call the series something) and found the key scriptures recorded in The Jesus Covenant, Part 1: The Foundation. “Therefore say to the house of Israel, Thus says the Lord God: It is not for your sake, O house of Israel, that I am about to act, but for the sake of my holy name, which you have profaned among the nations to which you came. And I will vindicate the holiness of my great name, which has been profaned among the nations, and which you have profaned among them. And the nations will know that I am the Lord, declares the Lord God, when through you I vindicate my holiness before their eyes. I will take you from the nations and gather you from all the countries and bring you into your own land. I will sprinkle clean water on you, and you shall be clean from all your uncleannesses, and from all your idols I will cleanse you. And I will give you a new heart, and a new spirit I will put within you. And I will remove the heart of stone from your flesh and give you a heart of flesh. And I will put my Spirit within you, and cause you to walk in my statutes and be careful to obey my rules. You shall dwell in the land that I gave to your fathers, and you shall be my people, and I will be your God. It actually helps if you read Jeremiah and Ezekiel cover-to-cover, rather than taking verses out of context in order to preserve the entire flow of thought of these prophets. You get a much more cohesive picture of what they’re actually saying. Notice in both of the above-quoted portions of scripture that God is specifically addressing “the House of Judah” and “the House of Israel.” Unless you subscribe to the Two-House theology and believe that any non-Jew who is at all attracted to Judaism and the Torah must be a hidden member of one of the “Lost Ten Tribes of Israel,” then you can plainly see that the verses in Jeremiah and Ezekiel referencing the New Covenant have absolutely nothing to do with the non-Jewish nations of the world, that is to say, most of humanity. The New Covenant language applies only to the descendants of Judah and Israel in our modern world, the Jewish people. You can see why it took me eleven or twelve separate blog posts in order to figure out where we Gentiles fit in. There’s no smoking gun, no signposts on the road to tell us, as there is with the Jewish people, where non-Jews fit in as far as God’s plan of redemption, restoration, and Messianic Kingdom world peace is concerned. You don’t have to read the whole series (though I wouldn’t mind if you did) to get the answer. I basically spelled it out in The Jesus Covenant, Part 8: Abraham, Jews, and Christians and in The Jesus Covenant, Part 11: Building My Model. The only thing I couldn’t figure out is how in all of Church history, Christianity had misinterpreted these scriptures so badly, forcing a connection between the Church and the New Covenant which does not exist and which specifically bumps Israel out of the picture entirely. Do you see it? Do you see where MacArthur, and presumably all the denominations of anything calling themselves “Christian” in any way anywhere made their mistake? All of the New Covenant language expressed in Jeremiah 31:31-34 and Ezekiel 36:22-28 is specifically addressed to the House of Judah and the House of Israel. Further, when you take into account the larger context of these verses, you must realize that the prophets are talking about the Messianic Age, when Messiah comes (returns) as King and inaugurates the Messianic Era, when the Spirit will be poured out on all flesh in such a way that the least of all human beings will still “know God” in a greater way than John the Baptist (read Jeremiah 31, Ezekiel 36, Joel 2:28-29, 32 and Luke 22:14-23 for context). Do you really think we have that today as Christians? Since we don’t yet have a new heart and a new Spirit in us (I’m not saying that believers don’t have the indwelling of the Holy Spirit, but that’s only the “first fruits,” just the very leading edge of what these prophets are talking about) so that we are all functionally prophets, and since we (Gentiles) aren’t of the House of Judah or the House of Israel, then the New Covenant language can’t be talking about the rise of “the Church” beginning with Acts 2 and progressing across the rest of the New Testament and into the last nearly two-thousand years of “Church history!” The very best we can say, as I mentioned above, is that the giving of the Spirit to the Jewish apostles in Acts 2 and the giving of the Spirit to Gentiles, starting with the Roman God-Fearer Cornelius and his household in Acts 10, are a sort of “first fruits” of the New Covenant promise that is yet to come! This will definitely not make any traditional Christian at all happy. It might make some Christians angry and defiant. Some Christians, hopefully those who investigate and realize that the Bible doesn’t actually read the way they’ve been taught, might feel a sense of loss and even depression that “the Church” isn’t the center of the universe and our guarantee that all Gentile believers are the best thing God created since sliced bread and peanut butter. But we really have no reason to be depressed or experience loss. It’s not as if God doesn’t love all the world. It’s not like this invalidates John 3:16. 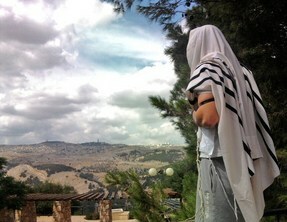 God still “so loves the world,” that is to say, all the people in it, not just the Jewish people. He has a plan for us, it’s just not the plan that “the Church” believes in. This hidden but massive error is the very foundation of supersessionism and anti-Semitism at the root of all expressions of Christianity everywhere on earth. We don’t see it or feel it because it’s buried so deep in our theology. It is the heart of what Rabbi Dr. Stuart Dauermann has called cryptosupersessionism. Christianity is completely unconscious of its presence and yet it colors everything we in the Church say, do, think, and feel about Christianity and what we believe being a Christian means. I know a lot of Christians including a lot of Hebrew Roots Christians will be upset about what I’m writing, saying I’m doing something terrible, elevating Israel above the Church, creating inequities and all that, but it’s not like we don’t have an exceptionally vital role to play in God’s plan. 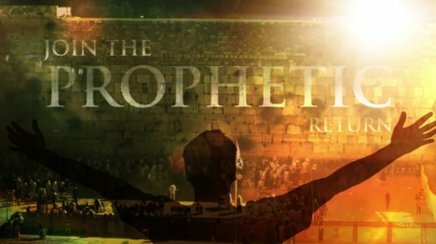 The church is the biggest stumbling block for the people of Israel to see the true message, the redemptive message of the Messiah. We’ve all been taught to believe what John MacArthur believes about the New Covenant. The Christian Church in all its incarnations is guilty throughout its existence of the most heinous act of eisegesis in the history of the Bible and Biblical studies. We’ve chronically and grossly misinterpreted the Old Testament and New Testament text (and even those titles are a tremendous misrepresentation of contents and purpose) in such a way that it forces the anti-Jewish, anti-Judaism, anti-Torah presuppositions, agendas, and biases of the Church into and onto the text. This is the error of “the Church”. This is where, for all the good Christianity has done, the Church has gone wrong since almost the beginning. This is the problem that the Reformation failed to address. This is why Gentiles are in the Messianic movement, not to move in on Jewish worship and identity space, but to right a two-thousand year old wrong. May Heaven grant strength and endurance for those of us who are delivering this message that some ears may hear and understand and not reject and disdain. A brother will betray his brother to death, and a father will betray his son, and children will rise up against fathers and kill them, and you will be hated by everyone for the sake of my name. But the one who keeps waiting until the time of the end will be saved. This is why I’m here. This is why I write. To deliver a message that the Church doesn’t want to hear. To point to the scriptures that Christianity doesn’t want to understand. Check those scriptures for yourself leaving your eisegesis and your assumptions at the door. Do you see what I see? If you do, why are you here and what do you need to do now? There’s going to be an extra meditation today. I need to inject some balance into the messages I’ve been writing lately about the Church. In spite of all I just said, there is also much good in the Church. You’ll see. Maybe everyone else already knew this but it was an eye-opener for me, Sean. James I definitely in favor of a balance between Messianic Judaism/Israel and the Church. There are churches that understand that Israel’s redemption means redemption of all human kind. And of course there are churches and teachers like ‘Mac’. The Friends of Israel is not too far from me and starting to research their ministry. Some of you may have heard of Christ at the Checkpoint (CATC). I have and not in a good way, as their efforts tend to re-enforce everything I’ve said in this morning’s “meditation” and further detaches “the Church” from the centrality of Israel in the ancient Messianic prophesies as well as future Messianic redemption. I just came across a couple of relevant blog posts at the Rosh Pina Project called What is the Message of Christ at the Checkpoint and Messianic Mess at CATC, as Israeli leaders check in. It is sad that too often Christianity has avoided Romans 11, which explains the relationship. We forget who is grafted into whom. The Messianic Movement is forcing Christianity to take another look; for that I am thankful. Keep up the good work. I don’t think Christianity avoids Romans 11 Ed, I just think they’re taught to see it in a different way than Paul intended it to be read. The intent is avoided. There is no way one can teach or believe supersessionism/replacement theology taking Romans 11 at face value. Yet the great majority of Christianity is supersessionistic. And just in passing, I note that MacArthur seems to miss a distinction, sometimes cited by Pentacostals/Charismatics, between “receiving” the HS and “being filled with” (or by) the HS. The initial appearance of this distinction may be seen in a comparison of Jn.20:22, where the recently resurrected Rav Yeshua “breathed” upon his disciples that they should “receive” the HS (see also Acts 2:38), and Acts 2:4; 4:8; & 4:31, where various people are described as “filled” (at least one of whom had already “received”), with consequences somewhat more significant than appeared after mere “receipt”. Apparently, the “first-fruits” down-payment demonstration, of a phenomenon to be fulfilled in ultimate form somewhat later, could be expressed on two different levels of intensity. The more-intense form was distinctive in that it appeared in discrete events, while the less intense appeared to be a constant background foundational state. Thankfully, we see examples of non-Jews experiencing these phenomena similarly to Jews (albeit somewhat later), indicating that they were not covenant-dependent, but only faith-dependent. Hence they are not “new-covenant” phenomena (which would apply only to Jews), but rather “kingdom” phenomena (which thereby have both an ultimate application and a present subjective experiential application). That tends to be the outcome when we rely on man’s teaching; we become the next link in the chain of perpetuated, non-biblical tradition. We break away from that chain through personal interaction with the scriptures. The longer and deeper that interaction, as we gain more familiarity with what scripture really says (in context), we are better equipped to determine the validity or otherwise of what others are teaching. The sign of the new covenant being fulfilled? ‘No man will teach his brother saying ‘know the Lord.” Since we are still teaching, the new covenant can’t be fulfilled!! Yes, it is with the House of Israel and the House of Judah… What we need to understand is what it means to be grafted into Israel. We don’t become Jews, but we do be come part of one people… Not totally sure how that looks, but it has a decided Torah/Messiah centricity with Hebrew flavor! For me, I see being grafted in a being a SPIRITUAL member of the House of Israel, but not taking anything from Judah… But, that is just me. Shalom! Good to see your passion come out! I like following James as he wrestles with important matters of theology. This is a terrific post where he takes the difficult step of challenging Christendom with some hard truth. I think we agree on much in this post… Exactly what the final product looks like, remains to be seen, but, like James, we are on a journey in search of truth and we ask our Father to reveal Himself and truth at every turn!! Enjoy wrestling with this post!! I believe we are experiencing the “first fruits” of the coming Messianic Age and have been for quite sometime, but obviously, we have a long way to go. Does this “new covenant” He mentions pertain at all to the “new covenant” spoken of by Jeremiah and Ezekiel? My question is how can we understand this saying of Jesus in relation to the New Covenant language of Jeremiah and Ezekiel? There doesn’t seem to be a direct link. We also have to consider that everyone Jesus was talking to was Jewish, so they must have been hearing his words through the “lens” of the above-mentioned prophets. @James and @usuallylogical — You’re right to consider how this passage is fraught with references to prophetic passages, and the translation also invokes the question about what Rav Yeshua meant by what is rendered in English as “is” (since the word is inferential and not explicit in the Greek text, which itself is reporting a comment undoubtedly offered in Hebrew which also merely implies it). So we must consider what symbolic connections his disciples would be expected to draw between a cup that represents imbibing something (i.e., taking it into oneself), “his blood”, which clearly is a reference to death (implicitly an unnatural one), sharing or distributing it among them, possibly even a Ps.22:14 reference to one who is “poured out like water”, and the covenantal renewal that would internalize Torah in the Jewish community (and individuals) so deeply that it would no longer be necessary to exhort one another to seek an improved relationship with HaShem and His perspectives. With our later perspective of hindsight, perhaps such connections are obvious — that the metaphorically sacrificial martyrdom of Rav Yeshua, coupled with the demonstration of HaShem’s power and direct personal intervention in history in resurrecting him, and the experiences of enhanced outlook and power to accomplish even miraculous effects in cooperation with HaShem’s Spirit, would inspire progressively deeper commitment to explore and internalize all that HaShem intended to convey in His covenantal gift of Torah (including, of course, such notions as forgiven sin, restored relationships, societal justice and mercy, personal liberty to develop one’s capabilities and service to the community, and a host of other blessings that would repair the shortcomings of the entire world as well as those of individuals). Thus the messianic era would become a reality. 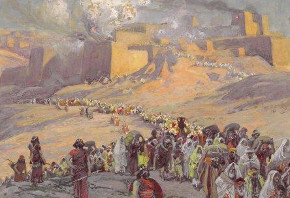 Regrettably, as we all know, “there’s many a slip ‘twixt the cup and the lip”; such that the vision of the renewed covenant in the messianic era has been delayed for a variety of reasons — at least one of which was to provide opportunity for the “fullness of the nations” also to participate (ref: Rom.11:25). But a lot of folks just don’t seem to “get it”. It is a new covenant promised to Israel and was brought into being through the death and resurrection of Jesus, but it is not limited to Israel, gentiles can be grafted in – although it’s not strictly a “new” covenant to them, never having been part of the “old covenant” made at Sinai. While recognising it is a “new covenant” made with Israel and Judah, as per the Jeremiah prophecy, that reference should not be divorced from subsequent references in the gospels, in both letters to the Corinthians and also Hebrews. It is a covenant linked to the shed blood of Jesus of which Jesus is the Mediator, and Paul describes himself and his co-workers as “ministers of the new covenant”. Usually logical asks: Does this “new covenant” He mentions pertain at all to the “new covenant” spoken of by Jeremiah and Ezekiel? Yes, there is only one new covenant, all biblical references need to be taken into account to get a broader understanding of what it’s all about. As well as Jeremiah, see the gospels, 1 and 2 Corinthians and Hebrews. There is a old debate that rages still concerning the term “new covenant,” being the term is Brit Chadasha (also the Hebrew title of the New Testament). The word chadash, translated “new” also has the definition of “renew.” An example given is the term given the monthly new moon is Rosh Chodesh, yet it is not a brand new moon; it’s the same moon renewing itself. This understanding is pervasive in the Messianic movement, and there are those who would denigrate it as uneducated and unsupported. That, however, is not the case. In the NAS/ASV Chadash is translated: renew-5, renewed 1, repair 1, restore 3, restored 1. R. Avraham ben Yaakov, an orthodox rabbi, in his commentary on Jeremiah 31:31 states: “‘I will strike with the House of Israel and the House of Judah a NEW COVENANT.’ It is highly ironic that this verse, which plainly states that God will renew His Covenant with the same House of Israel and of Judah with whom He originally made it, was distorted by the exponents of “replacement theology” to provide justification for their notion that the original Israel were displaced forever and that the original Covenant was somehow replaced with a “New Covenant” or “New Testament”. However, it is perfectly clear from verse 32 that God’s “New Covenant” with Israel is none other than the Torah that He gave to Moses. What is “new” about the Covenant is that whereas Israel “forgot” the Torah as a result of the sin of the golden calf, in the future it will be written on their very hearts and, as it states in v 33, everyone from the smallest to the greatest will know God without having to be taught by others. J. Daniel Hays of Dallas Theological Seminary, in his book, “The Message of the Prophets,” states that what is new in the new covenant is that “…the new covenant will shift from a national, corporate focus to an individual focus. …Yahweh will give to each of them the opportunity to respond individually, and to be saved individually.” He continues that the newness of it will be that Torah will be written on their hearts rather than on stone. For myself, these things bring the whole subject of Jeremiah 31 into clearer focus. This idea simplifies and satisfies the tension that has become a chasm. Clearly in the case of the verses quoted by MacArthur, there IS a condition when this promise is considered in context. When read in its full context – the promise is made to “the house of Israel”. The section of scripture is not referring to the means by which “Christians” receive the Holy Spirit. The promise refers to the time mentioned by Paul in Romans 11 when “All Israel will be saved” and the promise is linked toIsreal’s full restoration to the land as well as their return to God. It refers to a time still future when Jesus returns and establishes His kingdom on earth. This example from MacArthur is yet another case of the abuse of scripture – cutting it up into convenient texts and discarding the parts that don’t fit a desired theology. It’s not surprising he told his audience they didn’t need to turn to his “text” – someone might have been tempted to read more than the bit that suited his purposes. Thanks for your input Tim and PL. This helps make the waters clearer and further, in my mind anyway, demonstrates how we must hear the words of Messiah through the lens of all earlier prophesy rather than trying to “re-write” those prophesies to fit later Christian doctrine. I’ve heard it explained this way, based up Dr. David Stern’s translation of Romans 10:4, based upon the interpretation of the Greek “telos”: “For the goal at which the Torah aims is the Messiah, who offers righteousness to everyone who trusts.” (as opposed to “Christ is in the end of the law…”). If the covenants were connected together by lenses in compartments in the structure of a telescope, the New(er) Covenant would be the final lens at the end, completing the instrument. Without any one of these lensetic compartments or lenses being in its proper place, the viewing instrument would not work and the ‘goal’ or ‘focus’ of the Torah, the Messiah, would be disjointed, blurry, out of focus. But, with all of the the lenses in place in the right order, the telescope can bring the figure of the Messiah into its best, most recognizable form. The order and fullness of all the covenants working together brings Messiah into proper focus. No wonder we have so many “blurred visions” of who He is… so many Christians are trying to see Him from the wrong end of the viewing instrument. It seems amazing that something that should be so simple and straightforward seems instead to be incredibly complicated and fraught with misunderstanding. The New Covenant language in Jeremiah and Ezekiel plainly states that nothing changes from the previous covenants except it will be written on the heart as opposed to on stone tablets or scrolls. In other words, the Torah of God as it applies to each of us will be internalized within our very beings, our minds, our hearts, our Spirits. In fact, we will get a new Spirit that will be poured out on all flesh (the first fruits of which we see in Acts 2 and 10) to facilitate the internalization of God’s laws and wills so that knowledge of and obedience to God will be so much a part of who we are, that it will be “natural” to live our lives in His will. That’s how it’s been from man’s beginnings. How much simpler and straight forward can it be than: “Of every tree of the garden you may freely eat; but of the tree of the knowledge of good and evil you shall not eat”? How easy it is to be led astray once we start asking “Is that what God REALLY said (or meant)” and we allow someone to convince us that it wasn’t? After reading these comments, it sounds to me as though Yeshua’s comment to Nicodemus about being “born again,” which really is “born from above,” with born being in the sense of being renewed would then mean “to be renewed from above.” This would be equal to saying he must return to the teaching of the Torah and obey G-D.
Well, Jerrold, while I think you have touched on at least one accurate implication or “remez”, there, of the notion of being born from above, I think you’re mistaken to infer that Nicodemus needed to return to the teaching of Torah and obey HaShem, as if he were not already doing that. In his case, the greater implication and demand (“drash”) was to infuse his understanding of Torah with its middot and the attitudes that empower them. There was a depth (or a heavenly height?) which presumably he suspected that Rav Yeshua could reveal to him, hence his visit, and hence Rav Yeshua’s response. The Rav acknowledged him as “a teacher in Israel” (high praise, indeed), while also offering an ironic rebuke that he should already know better than to offer the sophistic response he had done about returning to the womb, verifying that the interpretation was not to be found at the level of “pshat”. With a bit more consideration, you might also explore what interpretation might exist in the realm of “sod”.